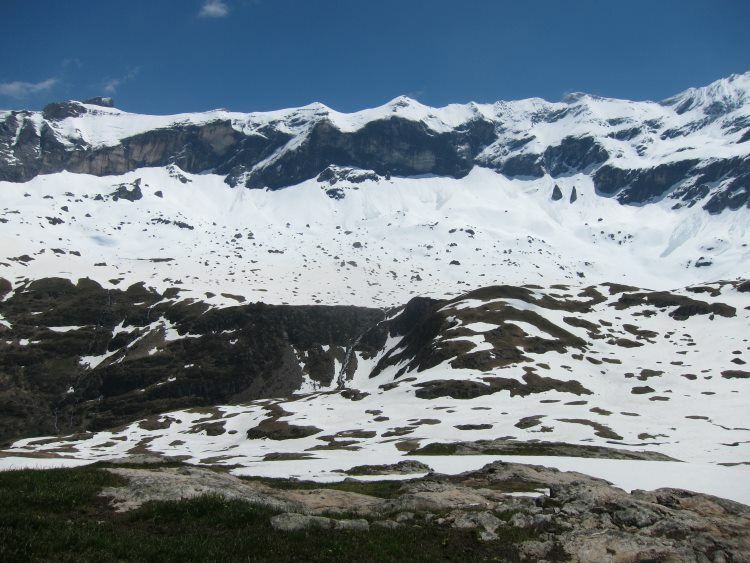 A huge theatre of cliffs and peaks surrounding rough, lake-studded ground with a raised rocky hill at its heart which commands tremendous views around the cirque. 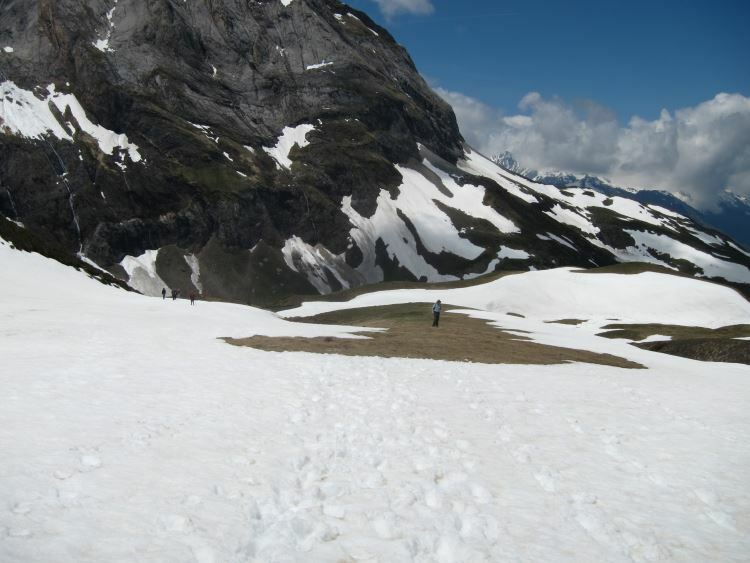 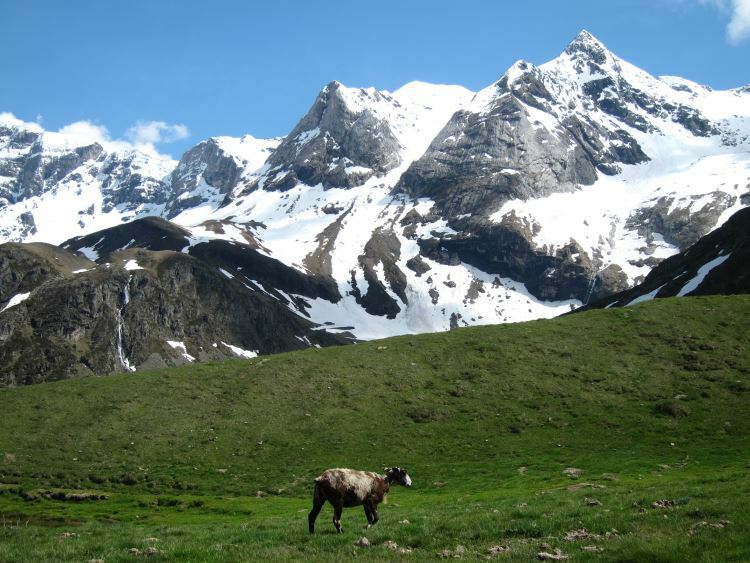 You can also traverse out round the high hillsides toward Gavarnie. 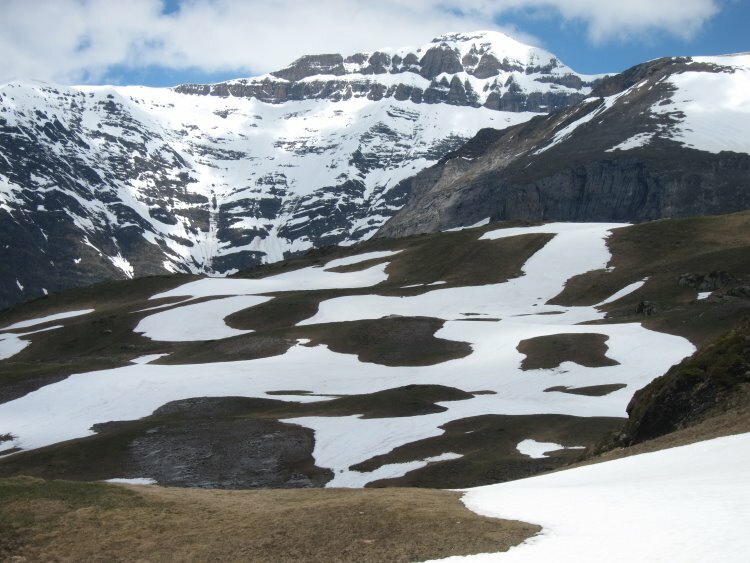 The Cirque de Troumouse is utterly and thrillingly different from its western counterparts in the Gavarnie area, a huge (10km across, apparently) theatre of cliffs and peaks surrounding rough, lake-studded ground with a raised rocky hill at its heart which commands tremendous views around the cirque. 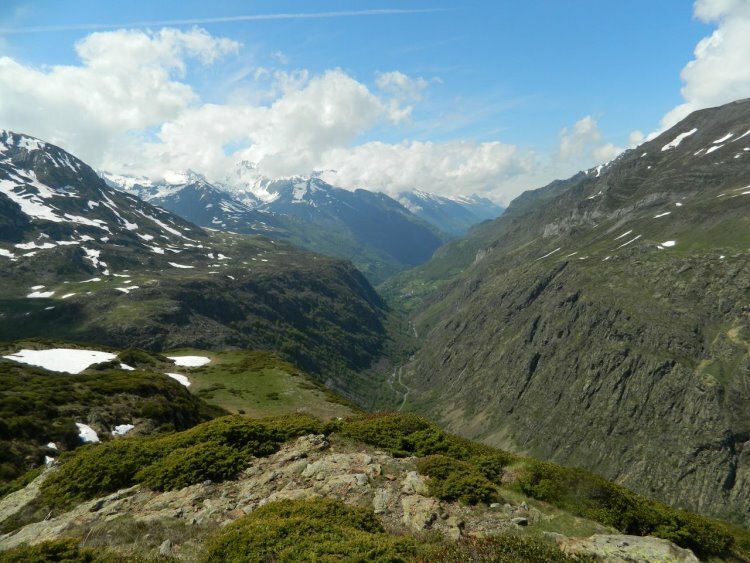 On both sides, deep, waterfally valleys drop to the Héas valley far below. 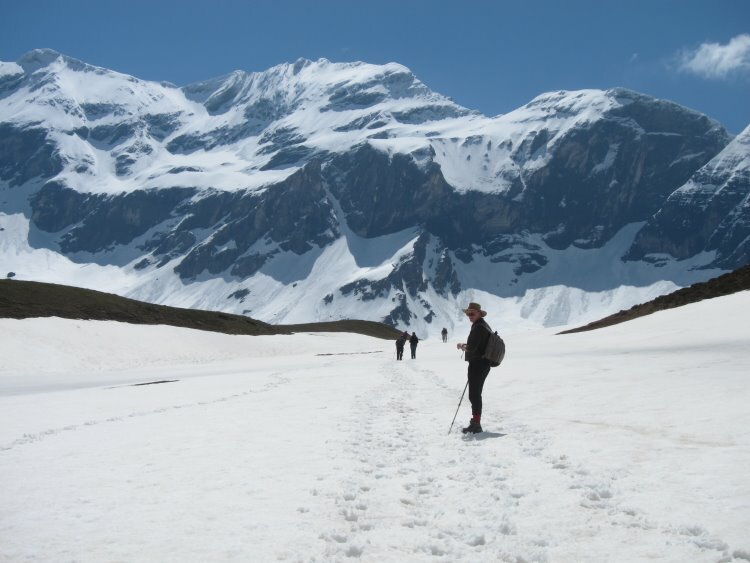 If that isn't enough, you can tackle the high-hillside traverse from just below the Auberge de Maillet round the hillsides above the Vallée de Héas to the Barrage des Gloriettes (at the bottom of the Vallée d'Estaubé), and/or on from the barrage round the Piméné massif and back high up the eastern wall of the Gavarnie valley (and thence to Gavarnie itself), with huge views all round. 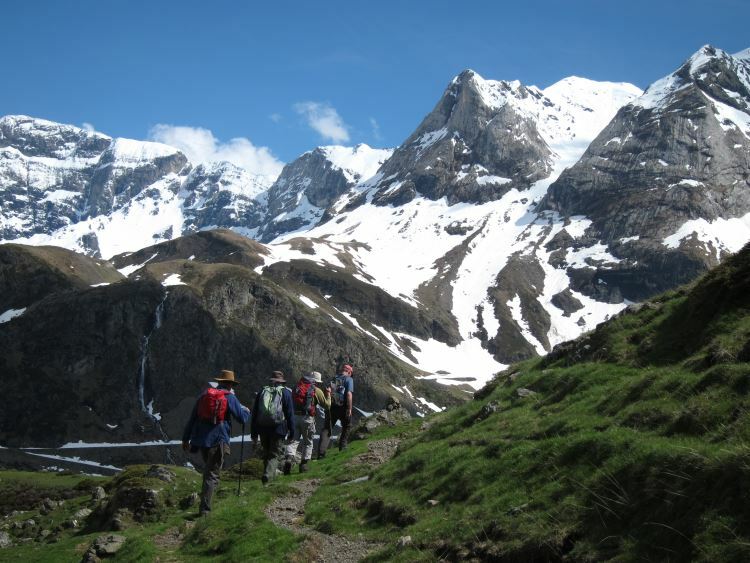 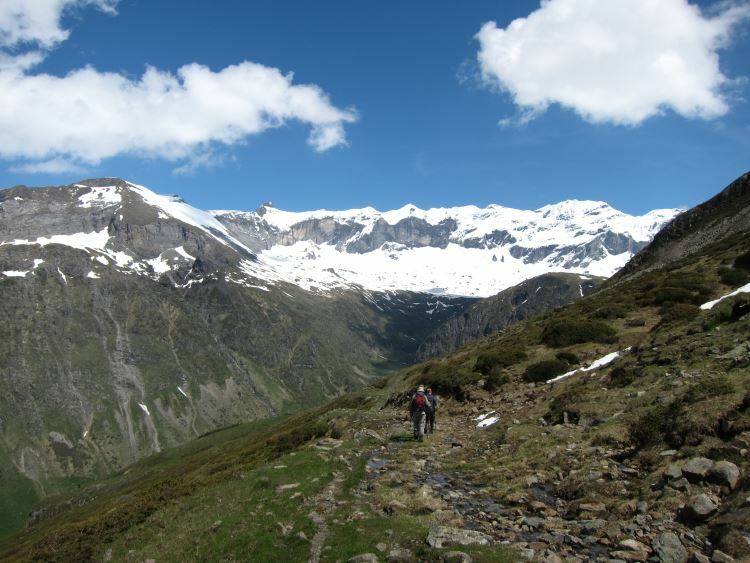 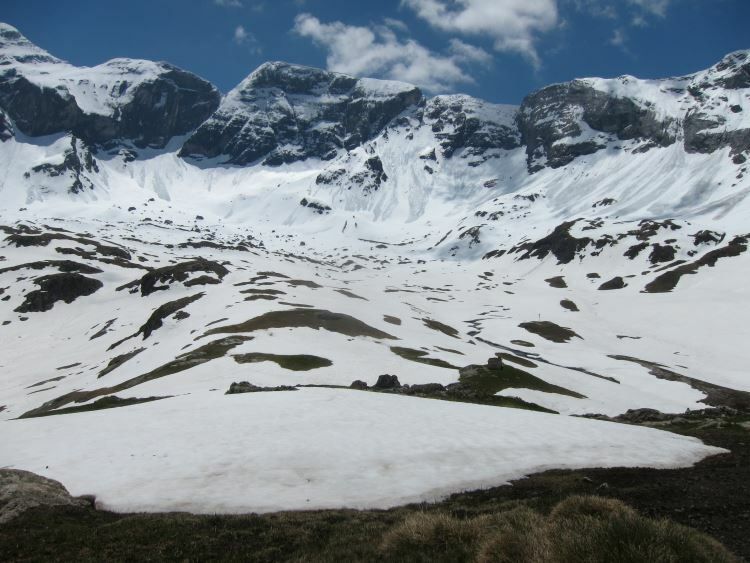 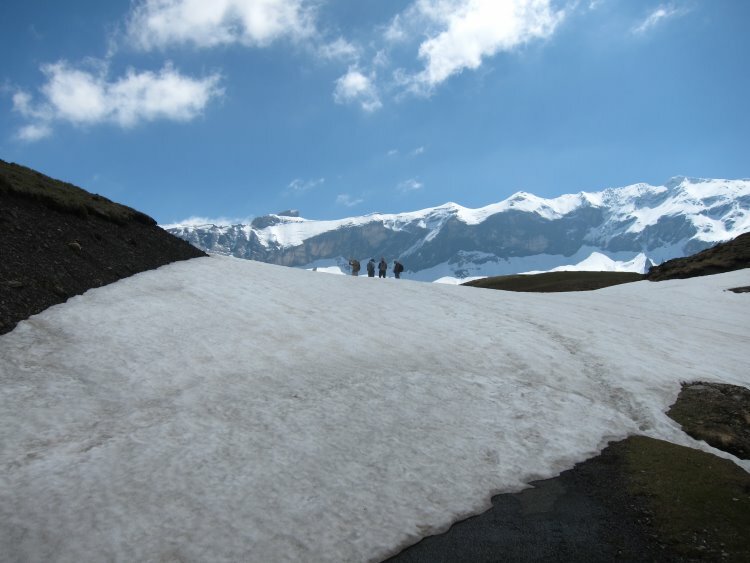 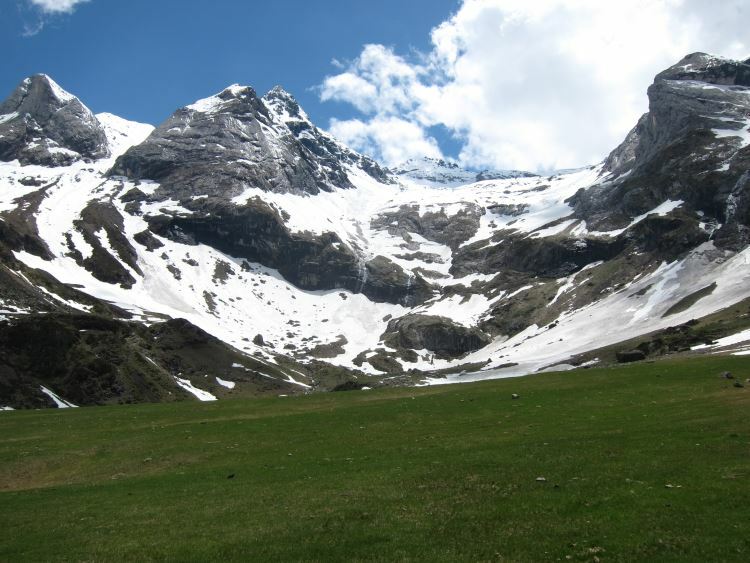 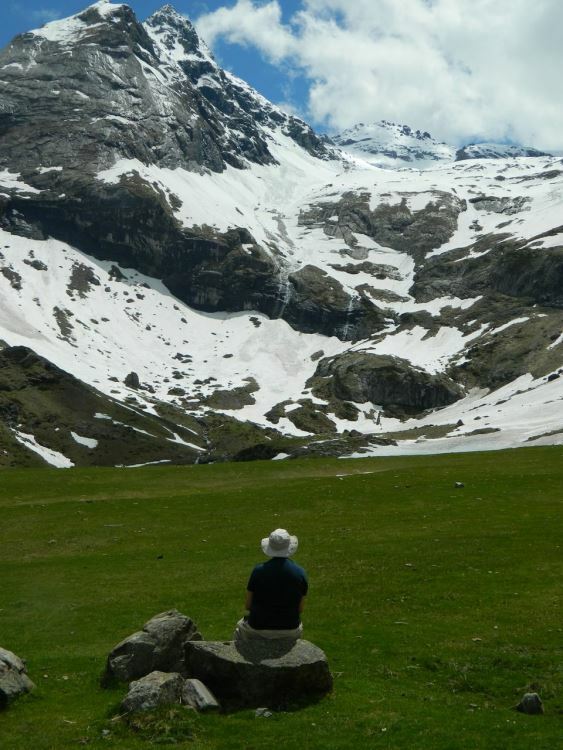 SEE OUR GAVARNIE AREA AND PYRENEES PAGES FOR FURTHER PRACTICAL INFORMATION, IDEAS AND PHOTOS.